Digital Trends has reviewed this digital camera from Sony, the DCR-HC96. 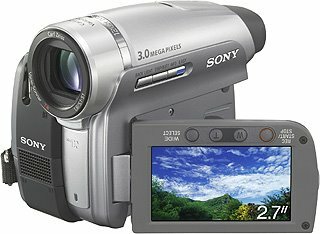 DVD camcorders get all the buzz in the camcorder world. Poor MiniDV is now the forgotten stepchild—even though the majority of digital camcorders in 2006 are still tape based. But, dear readers, the trend is clearly to disk and HDD camcorders with a sprinkling of SD flash memory editions thrown in for good measure.